H. Hirschmann LTD is now supplementing our production energy usage with renewable solar clean energy to produce our premium custom wood windows and doors. 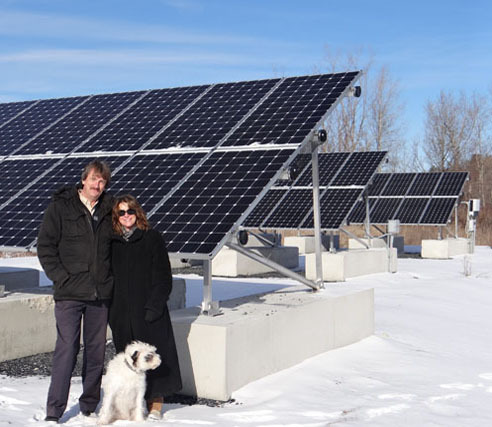 Same Sun of Vermont designed and installed a 15 KW photovoltaic (PV) solar energy system next to our manufacturing plant in West Rutland, VT. Our system is expected to produce 21,450 kWhs of clean energy per year and will offset more than 300 tons of carbon in its life cycle. We were proud to have had this energy generating solar installation operational by the end of December 2015. In combination with installing state of the art, low energy lighting fixtures our new solar system enhances our efforts to reduce energy consumption.